Want to support or join us? I am heading the joint Inria/ICM Aramis Lab with O. Colliot at the Brain and Spine Institute (ICM) located within the Pitié-Salpêtrière hospital in Paris. I am also the founding director of the ICM Centre for Neuroinformatics, and scientific director of the ICM platform for data management and analytics. My team focuses on the development of new statistical and computational approaches for the analysis of image data and image-derived geometric data such a surface meshes. We have contributed to the definition of statistical analysis methods for spatiotemporal measurements in longitudinal studies, where sets of geometric objects (or structured data) are observed at multiple points in time. Our research is essentially motivated by, and applied to the study of the structure and function of the human brain. It makes accessible the wealth and complexity of information contained in multiple modalities of medical images via virtual representations of the brain, and allows the tracking of these representations during ageing or disease progression. I received the Young Investigator Award from the conference MICCAI in 2008 and the second Gilles Kahn Award for best dissertation in computer science in 2010. In 2015, I was awarded an ERC Starting Grant from the European Research Council. I am associate editor of IEEE Transactions on Medical Imaging (IF 6.1), and Neurons, Behavior, Data Analysis and Theory (NBDT). Apr 17: Proud and happy to give a lecture today at the workshop "Shape Analysis" part of the long program "Geometry and Learning from Data in 3D and Beyond" at the Institute for Pure and Applied Maths (IPAM) at UCLA! 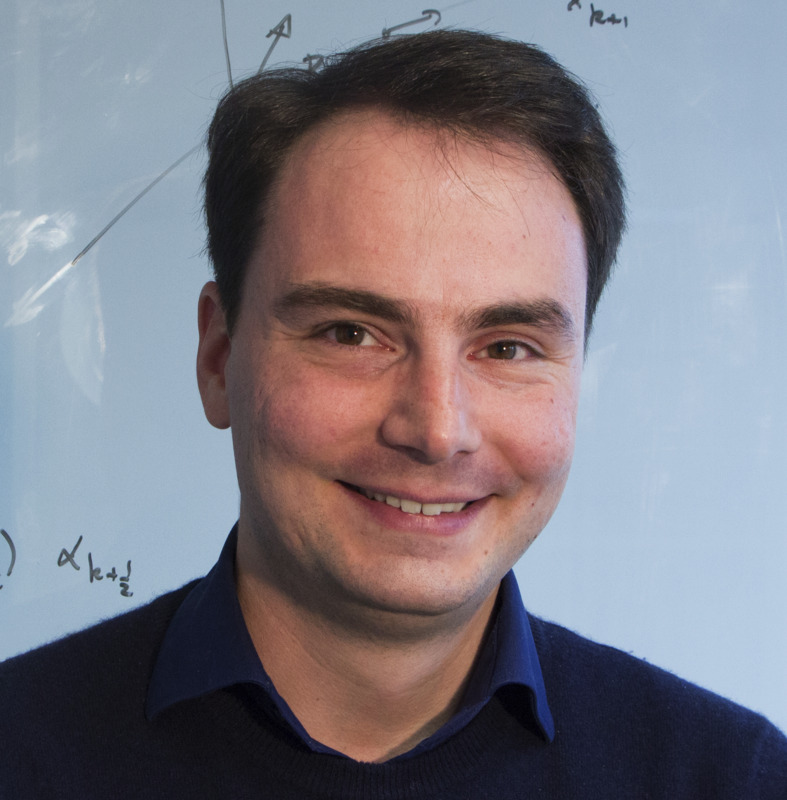 Apr 8: Congratulations to Raphael Couronne for being finalist of the best paper award at the IEEE ISBI conference (International Symposium in Biomedical Imaging)! His paper "Learning disease progression models with longitudinal data and missing values" shows that disease progression models allows the imputation of missing values in a better way that simple usual methods. Mar 27: Happy to take part to the round table on AI and Health at the Start-up summit organized by the magazine Challenges! Mar 5: Proud to have 2 papers accepted at IPMI (Information processing in medical imaging), one of the most selective and prestigious conference in the field! Congratulations to Alex and Maxime for their papers entitled: "Learning low-dimensional representations of shape data sets with diffeomorphic autoencoders" and "Riemannian geometry learning for disease progression modelling" respectively. Very nice works showing the interest of differential geometry in statistical learning! Jan 30: Congratulations to Manon who has her paper "Reduction of recruitment costs in preclinical AD trials: validation of automatic pre-screening algorithm for brain amyloidosis " publisehd in Statistical Methods in Medical Research! Dec 8: Proud that my article entitled "AI: a deep misunderstanding" has just been published in the special issue of the French newspaper Liberation on AI and Health. Dec 6: Our paper entitled "Spatiotemporal analysis for detection of pre-symptomatic shape changes in neurodegenerative diseases: Initial application to the GENFI cohort" has been accepted for publication in Neuroimage. Nice collaboration with our former post-doc Claire Cury and the University College London! Nov 23: Our paper entitled "An Automated Pipeline for the Analysis of PET Data on the Cortical Surface" has been accepted for publication in Frontiers in Neuroinformatics. Congrats Arnaud Marcoux! Nov 12: Happy to give a lecture at the Symposium on Multivariate analyses, Modelling and Machine Learning in Neuroimaging Research organised at the University Paul Sabatier of Toulouse. Impressive series of talks! Oct 23: Our paper entitled "Neurite density is reduced in the presymptomatic phase of C9orf72 disease" has been accepted in the journal of neurology, neurosurgery and psychiatry. Congrats Junhao Wen! Sep 20: Happy and honoured to have opened the MICCAI Workshop "Shape in Medical Imaging" in Granada. Warm thanks for the organizers in their effort to unify the shape community this year! Jean-Baptiste Schiratti, PhD student (2013-2017), left for a joint postdoc position between A. Gramfort's lab at Telecom ParisTech and the start-up Bioserenity. Barbara Gris, PhD student (2013-2016), left for a postdoc position in the mathematical department of KTH Stockholm with O. Oktem. Ana Beatriz Graciano Fouquier, postdoc (2013 - 2016), left for a R&D engineer position in the start-up Cardiawave. Dynamic atlas construction, namely the construction of a dynamic model from longitudinal data, i.e. a set of subjects or objects observed at multiple time-points. Developed within the European project Health-e-Child, the software ExoShape is a set of Matlab functions and Mex-files to perform statistical analysis of sets of curve and surface meshes. Its development was stopped in 2010, as the more ambitious Deformetrica project took over. If you wish to support our research, you are welcome to donate to the Brain and Spine Institute (ICM), specifying that your donation is for supporting the research activities of the ARAMIS lab. Contact me for details. If your company is looking for strong academic partnerships with a leading team in the field of geometric data analysis, feel free to contact me. If you are a brilliant master student or just graduated PhD (Congrats!) with a background in Electrical Engineering, Applied Mathematics or Computer Science, feel free to send me an Contact me (explaining me in 5 lines what you feel interesting in our research). Available positions include postdocs, PhD candidates and software engineers. Current open position are advertised here. © Durrleman 2015. All rights reserved.